Vermont’s bright and confident future generation of women! Front Porch Forum believes in supporting important community causes, and nothing is more important to us than the health and well-being of the next generation. We are excited to once again partner with Girls on the Run Vermont for their 2018 season! As proud supporters, we are helping girls in our community become Vermont’s bright and confident future generation of women! 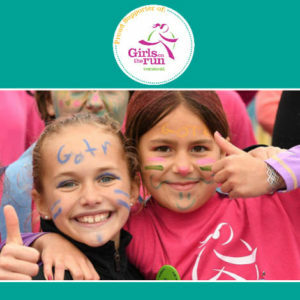 The 5K community celebrations across the state mark the successful completion of a 10-week Girls on the Run Spring program and is unlike any other running event. FPF is so proud to support our Vermont girls on their journey to self-confidence. Since 1999, Girls on the Run Vermont has inspired over 44,000 girls at more than 160 sites in 13 Vermont counties. This year alone, over 3,000 girls are participating in the 10-week, after-school program. Interactive lessons that integrate physical fitness help girls to effectively problem solve and remain strong during adolescence. Topics include self-image and the media, resisting peer-pressure, making healthy decisions and contributing to the community. Our support of the Girls on the Run 5K helps further the mission of the Vermont council, an organization that encourages the young women in our community to grow up with confidence, compassion, and character. We are invested in growing the next generation of strong, skilled, and healthy leaders – the future role models in communities all over Vermont. Learn more about Girls on the Run Vermont by visiting gotrvt.org.